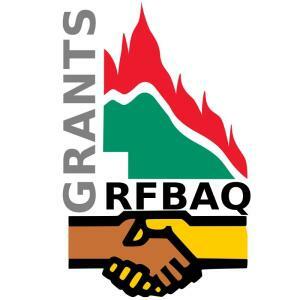 Click below to download an Application for RFBAQ Grant Funding. Executive Management (SEM) Meeting where the grant may be tabled. 2. After the grant has been tabled at the SEM, the Brigade will receive a letter from the RFBAQ advising them of the outcome of their application. 3. The Brigade is required to request their supplier issue the RFBAQ with a tax invoice for any and all grant items. The RFBAQ will not raise purchase orders, and will not deposit funds into a Brigade account. 4. Where relevant, the RFBAQ may request press coverage or publicity for approved grant funding applications. The RFBAQ also reserves the right to use the grant approved Brigade/Volunteer for marketing or promotional purposes and will seek to obtain all relevant photo consents. grant application to be completed and the grant application process shall start from the beginning. 7. RFBAQ grant application will not be valid once the quote/s provided has/have expired or after 12 months from the grant application approval letter date. 1. The Applicant / Brigade must be a registered Volunteer / Rural Fire Brigade in the State of Queensland. Levy), hardship or other similar circumstances. having to repay said monies. 4. Original applications are to be submitted, however for the purposes of expediting an application, photocopies, fax or email applications will be accepted as long as the original application is received in the post. 5. If applicable, copies of bank statements must be submitted with the application. provide the volunteers and the Brigade community. 8. The total requested grant funding amount should include GST. Director, and the Brigade’s RFBAQ District Representative. 10. A Letter of Support from the Brigade’s RFSQ Area Director is to be sent with the Application. 11. The Association strongly recommends that Brigades are GST Registered. This will give the Brigades the ability to reduce the cost of their purchase and enable them to claim back the GST. This will ultimately reduce the total purchase price. 12. Due to requirements by the Australian Tax Office, payments of grants must be made by the Association directly to the supplier of the goods sought in the grant. This will therefore require a quotation for the goods from the supplier if they are not provided by RFSQ.